Book Sikh pilgrimage tour packages to explore this youngest religion of the world. Sikhism bestows a sense of peace and lets you meditate for a calmer mind and soul. 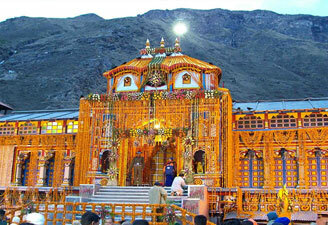 Hemkund sahib tour packages remain extremely popular among those seeking the wonders of Sikhism. Sikh holiday tour packages take you to some remarkable destinations in India, including Amritsar, Anandpur, Tarn Taran, Goindwal, etc. 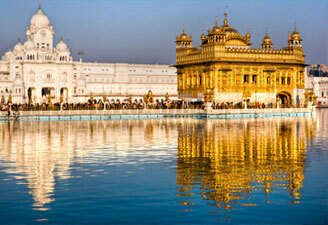 Contact our travel agents today for Sikh pilgrimage tour packages India. We offer you the most cost effective packages to let you save big every time you travel with us. Early morning Leave Delhi for Rishikesh. On arrival Rishikesh, transfer to Hotel. Afternoon visit Lakshmanjhula, Ramjhula. In the evening attend Ganga Aarti at one of the Ashram. Overnight at Rishikesh. Leave for Joshimath. Enroute stop in Devprayag to witness the confluence of river Alaknanda and Bhagirathi to form holy river Ganges. Reach Joshimath by evening and check in hotel. Overnight at Joshimath. Morning get ready for full day excursion to Auli. Explore Auli bugyal (Meadow) where one can find lots of wild flower. Auli - is nestled in the lap of snow capped peaks of Garhwal Himalayas. At the altitude of 2800 m from the sea level, this place is a perfect place for winter games specially for skiing. Skiing on this place streches from 10-20 km at snow covered mountain slopes. Auli is linked with Joshimath with approx 4 km long cable car. No doubt, this place is paradise for skiers. Overnight in Joshimath. Leave for Govindghat. From Govindghat, trek down to Ghangaria - the base camp for the Valley of Flowers and Hemkund Sahib. Reach Ghangaria late in the afternoon and stay overnight at Ghangaria. Leave Ghangaria after breakfast for valley of flowers (3 kms one side trek).Enjoy and explore the beauty of rare Himalayan flora and fauna. Afternoon trek back to Ghangaria. Night stay at Ghangaria. Trek down to Govindghat. Overnight at Govindghat. Proceed to Badrinath. After lunch visit the main temple of Lord Vishnu, Mana Village, last village on Indian side to Tibet border. Overnight in Badrinath. Early morning leave for Rishikesh. Reach Rishikesh by evening. Overnight at Rishikesh. Leave Rishikesh in early morning for Haridwar. At Haridwar visit Chandi Devi temple, Mercury Shivlinga, Daksh temple. Late afternoon leave for Delhi to depart for onward destination.